The term paper was originated in the core course of the Human resource management (HRM-301), by the honorable course instructor Ms. Taskina Ali in the middle of the 2nd midterm classes. The term paper is based on the topic of he course named “Recruitment and Selection” and an integral part of the study of human resource management. Thus the term paper was on any of the multinational companies in the country. The term paper will lead us to know about the overall recruitment process of the multinational companies and they will at least give us chance to know how to apply and get prepared for the recruitments of these companies when we are going to apply in future. As we have learned the recruitment process theoretically from the book then we came to know about the real life scenario in the multinational companies. The term paper was made on the basis of the primary and the secondary data. We had the scopes to visit the company and make a survey in the HRM department to know about the process and much other relevant information about the term paper and thus we have also gone through the books, internet, websites and many other references to make the paper. Primary Data: The primary data was accumulated by us from the Books, Internet, the journal and much other relevant stuff directly related with the literature of the term paper. As the text books gives us many theoretical support to complete this term paper. Secondary Data: The secondary data was taken by us through the Industry or the company visit and by the clients, employees, and related persons to the company of the American life insurance company (ALICO) this helped us a lot by generating the practical situation of the company’s recruitment process. The knowledge was really limited as because we are inexperienced and have not gone through many other things of the courses and still then we have to make through the small level of knowledge. We have the lacking of understanding many terms and conditions of many of the r materials and other related stuffs in this term paper. Time limitations in preparing the term paper. Lack of co-ordinations in the different sectors of the term paper. Problems in understanding many sectors of the term paper. Lack of Information about the various products and services of the company. These are the various areas which we had to cover up in making the report and very much successful one thus we have to go through all these various steps in generating the information and the data regarding making the report. The American Life Insurance Company was first named as the Asian Life Insurance Company was first formed in China shanghai, about 80 years ago. This foundation was laid by Mr. C.V. Starr who was the first person to start the insurance business all around the Asian and south Asian reason. Then he started to become the pioneer in the insurance company after the 2nd world war. Then Mr. Starr started to increase his business named as the Asian Life Insurance Company and started operating in the China, Hong Kong, Malaysia, Japan and in many places around the southeast Asia. After couple of year of 2nd World war the attention turns into the Caribbean, Far East of America, and Middle East and European countries. In the year of 1951 the company changed the name of Asia Life Insurance Company into the American Life Insurance Company, and subsequently they have started their business in America. Today ALICO being one of the top leaders among the insurance companies are operating their business situating their home town Wilmington, DelawareUSA, and are operating business around the world. Currently they are having operations in total 50 countries around the world. They are primarily operating their business around the world in various countries based on the territory basis and they are also making their works done through eh agency dealership around the different territory. Now they are trying to improve their business through effective communication, business strategies, and improving marketing efficiencies around the world. Thus the company has got under the parent company named the American International Group Inc. (AIG) which is the largest insurers and other financial company in United States and around the world. Thus the company has come across many stages since the Second World War and they have expanded their business in about the Southeast Asia, Middle East, and Africa, Northern and southern American and many other parts of the globe. They are now in a process to make themselves a global company to make sure the service goes around the every parts of the world. That’s why the next concern of ALICO is to get the globally accepted standard and the rating of the best insurance agents all around the globe. The American Life insurance Company started their business officially in 1951 when it was first named as the ALICO for the first time. They have gone through the various courses of action before starting the business in operating it as a full pledged business company. Now ALICO has got their operation in around 50 countries of the world. They have done this by effective top level management, greater control over the various functions around the world. They are running through the agency network dealership all around their territories in the different countries. Thus they are generating the profits sharing also for these agencies as they have to attain certain targets to achieve those policies. Now they are currently having more than 30, 000 agencies all around the world to operate their business efficiently. The company started the business in 1951 and has gone far away since their operations of the various methods and they are now emphasizing on the continuous field development and they have also gone through professional field and educational training programs. Thus the company has a clear intention to make the employees and the levels of operations to achieve a certain goals set by the company’s top management. They are opting on developing the local talent and the resources to increase the efficiency and the number of the productivity in the work arena and to make sure about the various important aspects f the insurance company. They can judge the customer needs and wants and they can easily get into the market environment and they are also getting the recruitment in the domestic levels of the country and they are recruiting local people as they understand the local needs and wants more efficiently. Thus the company has to make sure that the changing market environment, the technological changes and many other developments in the various target market are not affecting their business strategy and goals to attain the market leadership in the insurance business. Thus the company ahs got the highest rating from the “principle rating services” to make them the best certified insurance company in the world. Thus the company believes that the competitive strategy of them is to retain market share with the best quality service and facilities to the customers and employees. To attain the market leadership through the best service around the world and by making the target market analysis and by understanding the needs and wants of the target market around the world. To make the Low risk Investment strategies to make sure that the investments they are going for are really lower in risk and less complexity is there to achieve the goals obtained by the company. They go through the corporate guidelines and the local priority basis in the business, which means that the corporate policy is going under both of the considerations o the local experience and the corporate guidelines. The company follows the market leader strategies to expand and penetrate the old and new target markets to make sure that the company is going along smoothly with the various types of operations in the insurers and to the business. The company is going through the agency ship and the dealer ship by the head offices which are locally situated and they are also giving the licenses for the dealership and providing all assistance needed to the dealers and to the agencies. The company is reputed and the broader implementations of the reputation and various other activities are very important for the operations of the company, so these are supporting the company in operating the better ways to the customers. The company goes hand to hand in the Decentralized organization structures to operate in the various business functions and operations. This practice helps the organization to make sure about the various decisions making easier and flexible to the managers in any situations. These are the various policies to maintain a proper co ordination and the direction towards the functioning of the various insurance policies in the different territories. As they are defining their territories they are opting to use these corporate policies in every approach in their regional territories and other various agencies. These policies are working under the various guidelines and provide control and management efficiency. Thus the company has go the original operation levels in the headquarters and the regional operations levels to the regional headquarters to make it more clear we can define it by making a right way of describing the various parts of the organizations. So the company can make sure about the various operations and the various other distinguishing levels of intensified operations in the business world. This is the total operation where the functions are distributed in the regional branches or outlets through the divisional head offices and they all are under the Main head office. Traditional Life Insurance: The traditional life insurance is the first category of the service which is provided by the company. This is the general category of insurance where the company has got the general life insurance scheme which is to provide the regular insurance to the customers and to the people. Variable Universal Life Insurance: This is the type of the insurance which is universally recognized and to make sure about the various insurance schemes in the different parts of the world. This is to provide the insurance and the security of the universally conditioned to the people in the different parts of the world. Supplemental medical and Personal Accident Services: This is the type of the Insurance where the medical services to the various concerned parties and to the various work force are provided and they are also providing the accidental support in case of any accident occurs where the clients will get the security of insurance. Health and Hospital service Insurance: The various health and hospital service insurance are provided by the company to the customers in the various parts of the world where the concerned clients are getting the securities from the insurers and they can work well in the work field. So the health and hospital insurance service are usually provided to the blue collar employees and various staff level clients. Group and Individual insurance: The various group and individual insurance policy also has been adopted to make sure about the various individual and the group of people to ensure their security and the services to them. Pension and Annuities: They also offer various types of pension and annuities to the various levels of the customers and clients. So the pensions and annuities are given as the clients found their lives in security and to ensure a better future. These are the various types of services operated by ALICO in the various parts of the world, as the company in and MNC they need to make sure about the type of service and its needs and demand in the individual territories, thus they tailor their service in the different parts of the world. As there might be some of the products and services available I the South Asian region but they might not be available or adequate for the Middle East region or in the other regions. As the company is going under the MEASA operations which means the Middle East, Africa and South Asia regional operations they are implementing the rules and regulations regarding those situations. The Company started their business in 1952 when they have entered in to the territory of the West Pakistan and then they have also entered in the East Pakistan, under the MEASA service activities and they have got much time to be the market leader in the insurance industries of the country. They are successfully operating their business in Bangladesh since 1974 through the universally accepted agency dealership where they have got the 6170 agents in the country and they are operating under the strict discipline of the company. The various agents are the one who are implementing the services of the life insurance to the customers in different regions of the country. The company has got their strategic goals and objectives which define specific sales volume and increase the number of profits to the different regions of the country and to the specific agents. Thus the company has got their operations and services specifically in the various regions in the country. Thus the company plays an important role in the economy of Bangladesh while they are the sources of employment in the country and they are also giving employment opportunities to near about more that 6000 agents’ people and they are currently giving the straight employment to their regional offices of about 338 employees. This is not all as they are also a great source of revenues for the country as they are generation the 400,000 insurance policies in the country and they are also holding the assets of tk. 1,519 Crore of BDT at the end of the year 2004. they are currently operating their business in the remarkable use of business and making a mark in the insurance industry in Bangladesh since the year of 1974. The Individual Life Insurance: They usually go for the general life insurance as the market is consolidated in the life insurance at first step. This is their prime objectives of providing the insurance to the people and serves across the 50 countries around the world. The Group Life Insurance: They also go for the group insurance where the whole group of people com together under one insurance policy. So the group insurance is also one of their prime concerns in their service to provide security to the whole group of people. This is done to a family, or to a work force and to make sure that they are working under the same group. The Health and Accident Insurance: The Health and Accident insurance is a special kind of service which is provided to the people to ensure the good health and to make sure that they are not going for any accidents in the future and if there is any accident they got considerable support from the various sources of the insurance polity to get the security of the life. These are the various operated services of the company provided all over the country. This is the Organogram of ALICO in which the operations and the various functions of the company took place fro the Top level management and to the line management. 2.1 What is Recruitment Process? The Recruitment process is the ongoing process through which the organizations locate, and attract individuals to fill job vacancies. It is the activities of the HRM department to ensure proper human resources in the organization. The organization recruits the people from the internal and the external sources and to make sure that they are filling up the job vacancies to the different positions of the organization. The recruitment process is the integral part of the external and the internal recruitments in the organization as they have got two different views of recruiting people in the organizations. When ever there is a job vacancies occurred then the human resources department is going to make sure about the job descriptions and the job analysis of the recruited person. Then they have got to generate the applicant’s pools ad they need to make the lists of the applicants through the external and the internal applicants of the employees. Then they evaluate employees by making the various tests to them and to make their evaluation on the basis of the positions requirement. They have to go though the Written Test, Scholastic Aptitude test, Interview and the medical test to evaluate the employees in the various stages. Then they need to finalize some of the employees and they go to the various mental implementation process of selecting the employees finally and they need to make sure that the applicant who is going to be appointed to the organization for the specific position. Then the organization needs to impress the applicants and to make sure about the various formalities of the recruitment process. Then the companies need to make the offer to the applicant to come and join the organization and finally if everything is done according to the process then the process is done to that extent. In this way the Human resource department gets the employments of the employees and they need to make sure about the factors and the sources of the employees to make sure about the various recruitment processes of the employees. The description of the employee’s job and the responsibilities are defined later according to the positions. As the recruitment process is the integral part of the HRM department and the company depends on the position of the recruited position so they need to make sure about the various recruitment philosophy which should match with the organizational and the cultural goals the company has to recruit those kinds of people who will adjust himself with the environment of the company. That’s why there is a strong relationship with the organizational goals and objectives with the various recruitment processes. If the company hires the employees who are not efficient enough and they will not bring anything productive to the organization. Rather than that they will be the source of extra burden to the assigned position and the related working environment, so the company will have to recruit the employees again after firing that persona and go through a newly oriented recruitment process to recruit fro that position which is the wastage of time, energy and money of the company. So the recruitment should achieve the organizational and also the departmental goals and objectives and in order to get it efficiently we have to hire skillful, experienced and trained employees to make sure about the proper recruitment process to go through the strict assessment and get the best applicant in the job fort the assigned position. The company and the Human resource Department need to make all the necessary arrangements to make sure that the right people are in the right place and to be assigned for the right responsibilities or job. As if the recruitment process is not up tot eh mark then there might be ripple effect in each and every part of the functions of the organizations and that’s why the companies will have top go through the assigned recruitment process which is tested previously by the company. So there is always strong relationship between the HRM strategies and the recruitment process of the company. So the HRM is going to play a very important role to keep the relationship an ongoing process. The HRM should take all the initiatives to make sure that the employees who are recruited are really productive and skillful enough to make all the important decisions in the organization. So the relationship is very important and helpful for the both the parties. 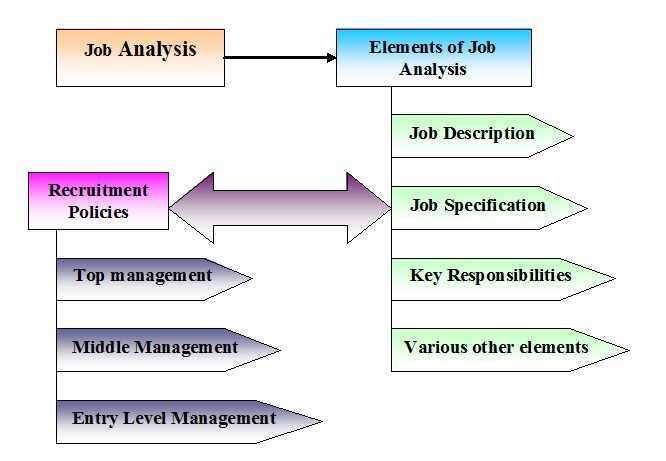 Analyzing the company objectives and setting policies for job Vacancies: At first the human resource department needs to find out at the starting of the year that how many employees will the company need approximately to fill up the vacant positions, then the budgeting and the analysis of the overall expenses needed to make the recruitment should be considered. This is done by getting the organizational goals to be achieved in a certain year, thus for each regional headquarters like Bangladesh, there is s specific target given by the company to be achieved by acquiring the sales volume or the customers achievements. Thus the company then determines that how many employees are needed to make sure about the company objectives or goals and what are the ways, plans, sources and methods through which the company will recruit and hire people for various positions to fulfill the organizations demand of the employees. Approval of the Recruitment policy and Job Analysis: Then the policies and the planning of the HRM recruitment process should be approved by the RSVP of the company in Bangladesh, Mr. Nurul Islam to make sure that the HRM department of the head office in USA gives away the approval of recruiting strategies to be achieved and to make the process of recruiting people in the company. So the strategy will depend on the approval and the sales objectives set by the top level management of the company. The approval means that the setting objectives and the planning process of the HRM department are accepted. Figure out the company objectives and start the recruitment Process: lastly after getting the approval the HRM department start off the recruitment procedures and they go for the internal and external recruitment to the various position needed and to make the right use of the vacant position they get the best employee to make sure that the recruitment process really helps to get the company objectives. 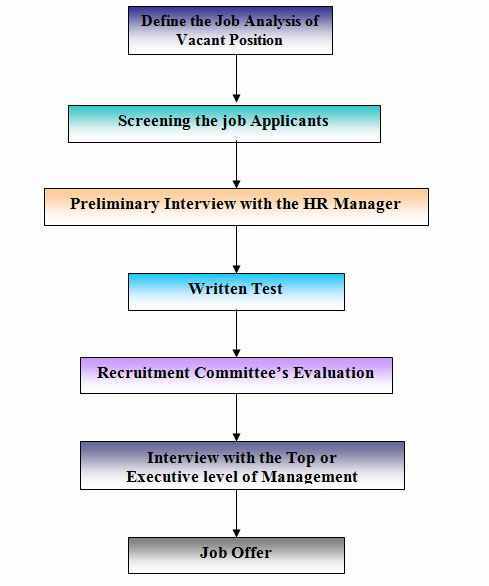 This is the strategy of the recruitment process as the top level management and the HR directors of the company sit together and find out the company objectives first and then do all the regular necessary activities to recruit the employees to attain the selected sales and the corporate objectives. The overall strategy of the recruitment process is to get the best employees to fit the vacant positions in the company and to make sure that the company gets the best outcome from him and to achieve the business and the corporate goals which are set to get the best outcome from that individual employee. The human resource planning of ALICO really plays a very important part for the organization. As the company usually go fort the plans according to the top-level management of the organization. As the company is going for the plan to set up by the top level management and the Human resource management they usually have to make a long term and a short term planning for the recruitment process needed in various time of the operations in the company. To overcome the constraints of the overall process of recruiting the people the Human Resource Department is going to make the planning according to the demand set up by the top level management and the HRM director. 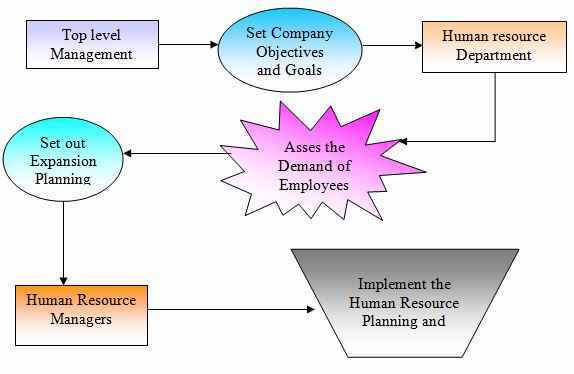 This is the way in which the company goes for the human resource expansion planning and they go for the recruitment after they plan for how they are going to hire people and when they re going to hire people. Well this is the technique used in the expansion planning process whenever the human resource department is going to hire employees. When to recruit: This is a method which is used to make sure about the time and the specific situation in the year to make the recruitment of the employees in the company, thus ALICO use this to make the right use of the human resource panning of the employees to make sure about the various job vacancies and the posting of the jobs in various positions of the organization. How to recruit: This method is used to make sure how the organization is going to recruit the employees which includes the sources of recruitment, whether the recruitment will be from the external or internal sources or it will depend on the recruitment needs and positions. Job Description: The job description is the part where the company plays an important role to make sure about the tasks and the responsibilities to perform when the employees will be recruited in ALICO thus the company needs their human resource managers to take the right decisions at the right time so that the person who will be appointed knows everything about his/ her job and to make the right use of the job responsibility, it also includes the reporting relationships, the supervision variables the other factors which are needed to make the job. Thus the skills, knowledge, and other functions those should be accommodated ot make the job properly is under the job description. Job Specification: This is to make the employees technically supported in the job field. Thus the job specification will lead the employees to know about the various factors with which the employees will have to perform the tasks and to make the right use of the equipments and other factors in the work field properly. Thus the job specifications and the job description will be added together to make the perfect match of the work environment. The combinations of these two will analyze the total job analysis of the recruitment at any level or positions in the company and ALICO goes along with these procedures very strictly whenever they are getting into a recruitment process. As the human resource department deals with the overall recruitment procedures that the company needs. The recruitment process of ALICO goes on with the every aspect of the company. Thus the recruitment process will go hand to hand with the recruitment policy and the various methods of recruitment. Thus to make sure that the recruitment is doe perfectly the human resource managers should make effective planning and policy making thus ALICO have got various steps in their recruitment process, but at first we should go along with the selection process and the employment opportunities. 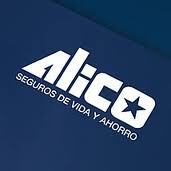 ALICO has also got their own employments opportunity factors and the selection process. 4.1.1 Selection Process and Employment Opportunities: the selection process of the recruitment took place in about 1 month long, the employees has to gone through the various tests and interviews to make sure about the selection criteria. The company needs to make sure that the employees are getting the equal opportunities and there are not biasness and any other unfair means in the selection process and to make the selection more effective the human resource department needs to be more transparent and accountable in their jobs in recruiting people. The company responds relatively very quickly in the selection process which is done by the human resource department within 2 weeks from the final interview and the screening session begun. The employees are given adequate time by the human resource management to accept or reject the opportunity. As far as the minority, equal employment opportunity and the discrimination is concerned the company has no such purpose to reject or discriminate the disadvantaged workers, the disabled worker, the senior/ junior complexity, the informal, formal method of recruitment, and the opportunity for the passive job seekers. The employment procedures are getting through the process which is only approved by the MEASA countries and which is quite different from the European and USA countries. So the overall process is maintained by the human resource department of the company. When there any vacant or new position occurs, the company searches internal employees for strategic or mid-level management, And for the entry level position external candidates are influenced to apply through internet recruiting, union & social organizations or advertising recruitment. Then the company Screens among employees & operate applicants’ pool based on Job description & specification. This is done within 1 week from the starting of the recruitment process. Recruitment committee then evaluates applicants through a selection process. They go through various sides of the applicants like educational background, previous experiences, skills and technical knowledge of applicants. The applicants have to face a preliminary interview with HR manager and have to perform a written test and then they need to go for another interview with the recruitment committee and top management and finally the medical test. The Company and the human resource department finally select the candidates by offering them its Compensation package and reward benefits based on the job criteria, the job analysis and the key responsibilities. Sometimes the company also prefers to select employees from the informal method of recruiting. Those who are passive job seekers are always influenced. All the employees whom the company recruits are full time employees. They have no part time employers. These Recruiting process are very important for supporting the overall Recruitment system of ALICO. These are the various important parts of the recruitment process which can be changed according to the demand of the jobs, the position requirements, the hierarchy of the job and the other factors linked with the job. Internal Recruitment: The Company goes for the internal recruitment when they need employees to fulfill the vacant positions internally. The company usually requires these recruitment sources to make sure about the mid level and the top level management recruitments which needs more experience in the company itself and to maintain a high knowledge about the own company. External Recruitment: The Company also goes for the external recruitments whenever they need to go for the hiring of the line management or the entry level managerial and executive positions. The company invites a various groups of people to make them choose from the pool and then to make they go for the final selection or recruitment. Informal Internal recruitments: The various informal and internal recruitments are done whenever the company needs to have the job in the sudden situation to share the work load or to assign the employees in a specific working environment. This is usually done to meet the buffer demand of the specific position and to get them company uses the various expert employees. Unions and Social Organizations: The various unions and the social organizations like the clubs, the business associations and many other firms who really work as the sources of the recruitment in both the internal and the external sources in the company. These unions and social organizations relate each other needs of recruiting the people and then call ALICO and their human resource departments to choose the assigned applicants. The various sources those are shown above works as the formal and the informal sources of the recruitments, as there are sources like the External recruitments sources, The Internet and Newspapers are the Formal recruitment sources and the Internal recruitments, the Informal and Internal recruitments and the union and social organizations are the Informal recruitment sources. 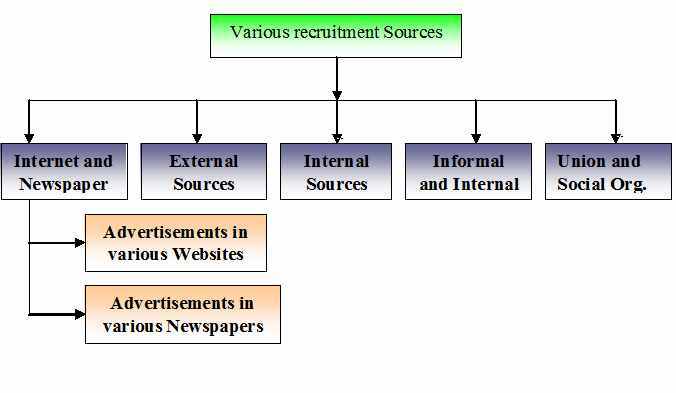 So these diagram shows that ALICO is more depending on the Informal sources of Recruitments and they are less depending on the formal sources of recruitments. Pen and Paper Test: This type of tests are known as the basic aptitude test where the applicants can give the various feedback about the knowledge and educational skills needed to perform the job its like the tests in the university and post graduation level where there might be questions on English, Math’s, Analytical Abilities and many other job related questions. Personality Test: The various personality and the psychological tests are taken to give the questions and take the relevant feedbacks from the applicants on the related job specified factors like: honesty, Motivation, team work and more. This are done to make sure that the employees attitude will match the attitude of the organizational cultures in future. Work sample Test: This kind of tests are basically taken to marketing and other technically needed people like the salesman, the technical support divisional employees, the customer service divisions and for many other recruitments. 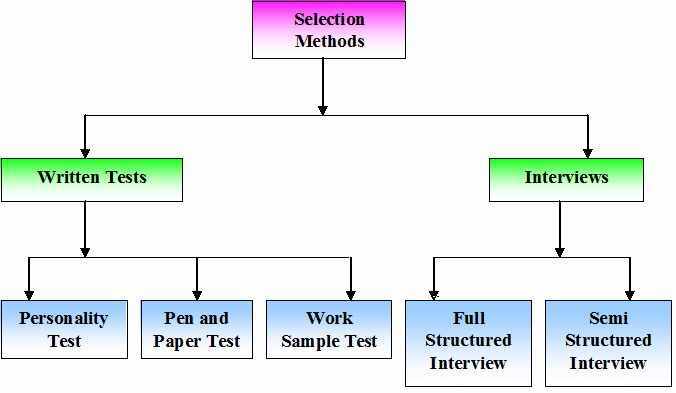 These are the three types of tests are taken for the selection process in ALICO and they need to evaluate the applicants according to their performance in these areas of selection and evaluation for any kinds of recruitments. Semi structured Interview: For the Top level and the mid level management the interview is needed to be semi structured and they need to make the questions according to the flow and the job analysis. So these type of interviews helps the interviewers of ALICO to understand the relevance and the ability to perform the work in a more efficient way. Structured Interview: The interview of ALICO in the entry level or in the junior level are totally designed in the structured way so that the interview can be conducted in all the same ways in various types of jobs in the same level of operations and management. Thus ALICO doesn’t use any specific assessment centers to conduct the interviews and to make it more clears they do it in their own designed styles of recruiting the entry level positions. These are the various tests and the Interviews offered by ALICO in the various level of the job according to the types and responsibilities of the job and to the specified recruitment needs of the position. These tests are all part of the screening and the preliminary interviews taken by ALICO. So these are really very important to make sure that the applicants can really impress the human resource department and the feedback can really impress the test scores to get the call in the final steps of eh interviews with the Top level management. So these tests are the parts of the interview sessions going also the 1 month and to make them very easy they are the evaluation bars to be attained in the different level of Interviews in the organization. So these are the basic types of tests and interviews performed by ALICO to make sure about the various recruitment efficiencies and the total process is monitored by the human resource department and the human resource managers. The company has to gone through the various techniques for selecting and evaluating the applicants in the recruitment process. Thus these selection techniques are used in the internal and the external recruitments. That’s why the company goes for these techniques to make sure that efficient use of the evaluation is done, They use the Grading Scale method as the techniques or methods to evaluate the employees performance which entitles that the Human resource department of ALICO goes to evaluate the performance of the applicants by grading the various test and interview results, and the results are done in the computerized process to make the fair and transparent evaluation of the recruitment. Thus the company can see the difference in other techniques used before and they are getting the best result in this methods as the techniques can be changed by the Human resource department is there is any other sources of evaluating the employees. Preferably from Marketing/ Sales Background. For Top Level: Generally prefer to choose from Internal Employers. Experience is given the top priority. So these are the policy should be attained by the company to maintain itself in taking a proper recruitment process and to make sure that they are going in the right way to the people and to make the transparibility high to the employees to the accounts, to the customers and many other parties of the business world wide. The Reporting Relationship with the vacant Position. The Supervising Specifications and the Subordinates specification. so this process should go hand to hand with each other in order to ensure a very effective recruitment policy and thus to maintain the policy the human resource department of ALICO make sure that the company objectives and the human resource policy and process match together to integrate each other and get the best outcome in the recruitment process and also in the job field. So ALICO strictly follow the systems and procedures that were given by the MEASA regional headquarters and also by the home and host countries involvements in the overall matter. The recruitment process is experience, tested and approved by the home and the host countries Top management and also by the human resource director. Since the process is perfect from 1952 and changes are made according to the needs. The recruitment process is Transparent and effective enough to make a good selection of the employees in the various level of recruitments n the organizations to get the cost effective solution. The recruitment policy gives the chances to the internal and also to the external employees to come and get the positions of the recruitment and to the various sources of the techniques and thus to make sure that the recruitment process is done very strictly the company needs to achieve the target of the recruitment goals and objectives. The Company introduces the Equal employment opportunities and the Non Discriminating activities to the various levels of recruitment. as they don’t have any obligations and bindings towards the disabled, disadvantages and old workers while doing the recruitment. The Company also goes for the computerized systematic tests to recruit the employees and to make it clearer the company should always maintain the same standard and the procedures of recruitment. These are the various effectiveness or the positive sides of ALICO’S recruitment process. The recruitment Process in ALICO is done only for the Full Time Jobs, but there should be subsequent chances for the Part Time Jobs in the Organization. This should be done to make more employment opportunities ion the country. The recruitment process takes approximately 1 month to finish the whole process and thus to make it more clear the company should make the right use of the human resource department to make it less time consuming. These are the only two important drawbacks or the negative side of the recruitment process. Thus to make the processes effective one, ALICO needs to emphasize more on the positive sides rather than the negative sides. The recruitment process is the ongoing process thus the company is developing the process day by day in the various ways and forms. To make the process an effective one the company need to make the recruitment process a less lime consuming one and there should be more chances given to the part time position and to make the right use of the employment structures. The company may also go for the surveys in the employees at the different level of the job and that’s why the company needs to take the views and suggestions form the executive and employees at the various level of management. The Company needs to be more communicative as the multinational company to make more frequent meetings between the home and the host country and the various regional headquarters to get the effective recruitment results. These are the various suggestions and recommendations that the company may consider. At the end of the day we can say that the Term Paper is all about the recruitment policy and the procedures of ALICO which we came to know is effective and efficient enough and they are doing it in the cost effective way since 1951. Thus many ins and outs of the recruitment process are described in the paper and we think that the paper has all necessary documents and information about the overall recruitment process of ALICO. Lastly, we will say that the company as one of the leaders in life insurance industry is getting the highest sales volume in the recent year are really effective and efficient enough to make the right use of the various systems which are planned and followed from many years. Thus the paper suggests that the overall recruitment policy is a world class policy to hire people and who will give the maximum output to the company. We have done this paper with our honest effort and we will be available for any clarification and changes needed to make by our honorable course instructor.